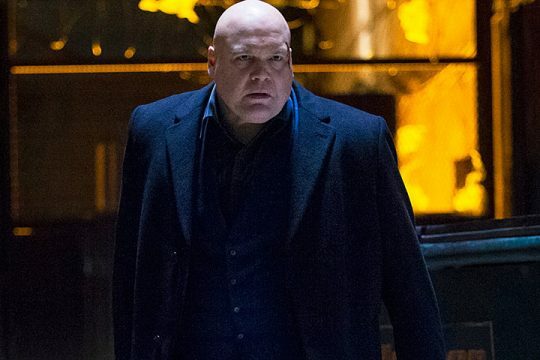 With his role as Wilson Fisk AKA Kingpin in Netflix’s Daredevil, Vincent D’Onofrio has become of one of the best villains in the whole of the Marvel Cinematic Universe. He’s so popular, in fact, that fans, Marvel actors and D’Onofrio himself have repeatedly called for him to crossover to Marvel’s movie division. In particular, in a future Spider-Man film, considering Kingpin’s connection with the wall-crawler in the comics. 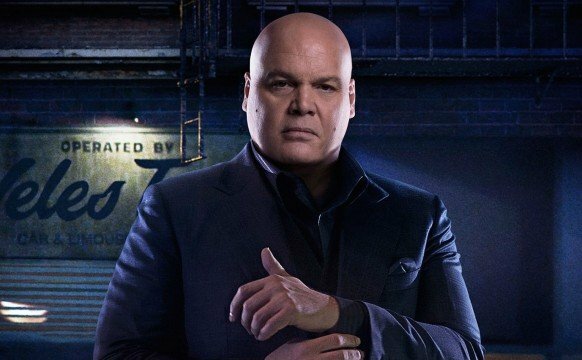 It turns out that D’Onofrio would be up for appearing in another rival comic book movie universe instead, though – Warner Bros.’ DC Extended Universe. The actor was asked by a fan on Twitter if would accept a DCEU role, and he replied with a simple “yup.” Doesn’t get much more clear cut than that, right? So, we know that D’Onofrio would be up for it, but is it even possible for a Marvel actor to jump ship to the DCEU? Recently, Chris Hemsworth said that it was “illegal” for Avengers actors to appear in DC movies, but he could have been joking. Especially as The Avengers’ director Joss Whedon is now helming Justice League and soon Batgirl for Warner Bros.
That said, it’s still rare for actors to appear in both the MCU and the DCEU. There have been a few to crossover between Disney’s Marvel universe and Fox’s Marvel world, though. For instance, Michael B. Jordan was Human Torch in 2015’s Fantastic Four but will soon play Killmonger in 2017’s Black Panther. Josh Brolin is also Thanos for the MCU and is set to play Cable in next year’s Deadpool 2. So, who could D’Onofrio portray in the DCEU? Given his success as a Marvel supervillain, it would make sense for him to stay on the dark side. Speaking of which, he would actually make a terrific Darkseid in the Justice League sequel. Alternatively, Mongul would be another villain who would suit his acting and physique, so maybe he could turn up in a future Man of Steel film? Time will tell, but we’d be all for seeing it happen. Tell us, what are your thoughts on Vincent D’onofrio appearing in the DCEU? Is there anyone in particular you’d like to see him portray? Do let us know.